Three unusual bright red vintage buttons with pearlescent effect. Part of a collection of buttons from 1950s-70s that I inherited. Each button measures approx. 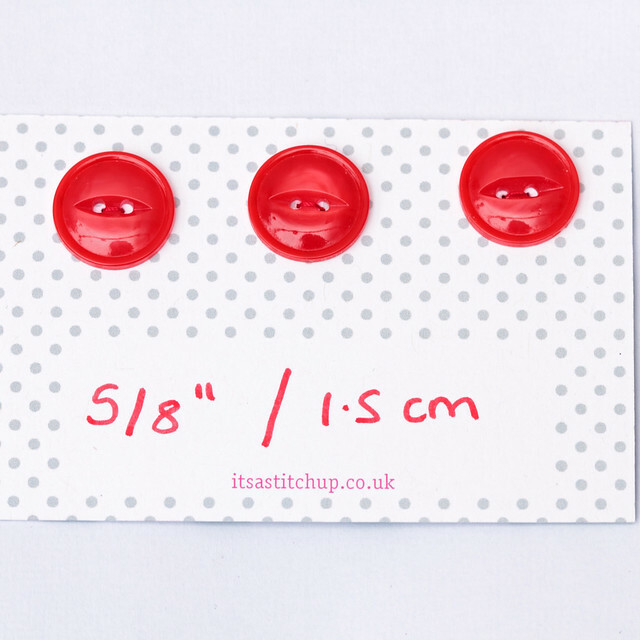 15mm, 5/8″ in diameter.